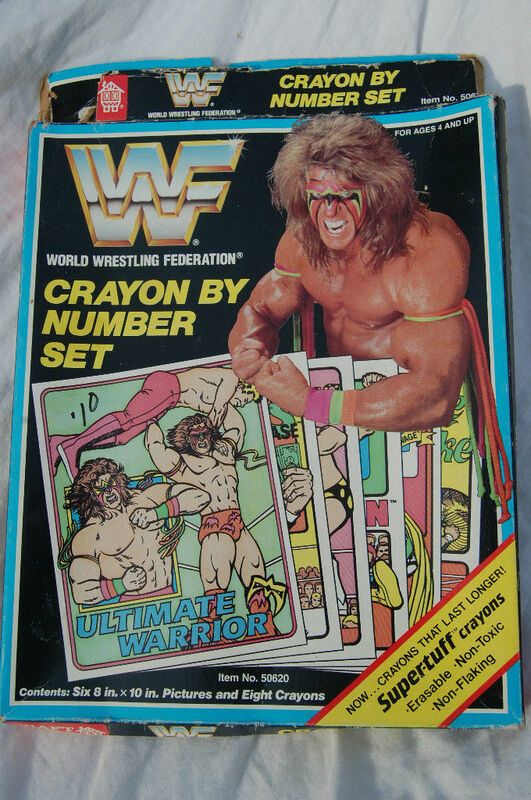 Someone Bought This: WWF Crayon By Number crayon and paper set - WrestleCrap - The Very Worst of Pro Wrestling! 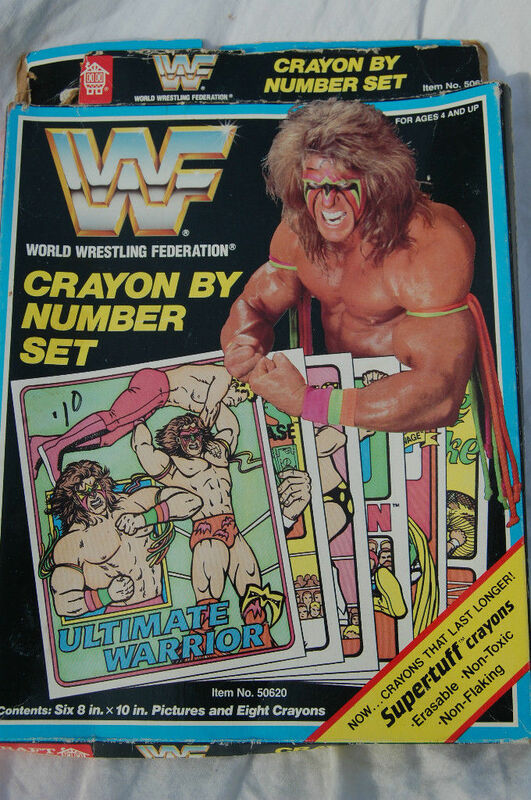 6 Responses to "Someone Bought This: WWF Crayon By Number crayon and paper set"
Why did they not color in Dusty’s splotch mark. How rude. Imagine the fun a child could have had if they got to color in Brutus’ face after the Ron Bass spur attack on him. 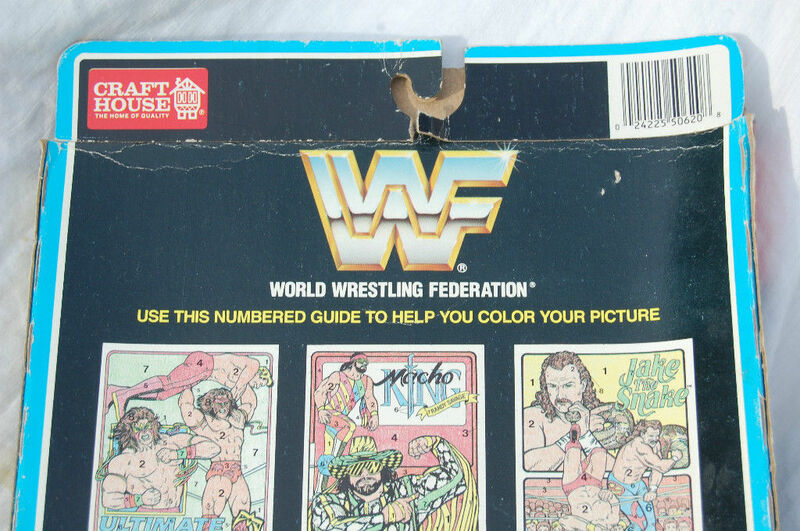 Or color in Rowdy Roddy Piper’s Wrestlemania 6 face paint. There’s an obvious typo on Hogan’s picture, they put “2” instead of “3” on his torso!